Our Netherlands team of over 200 employees prides itself on a culture of collaboration, continuous learning and innovation. We emphasize the importance of diversity and inclusion and a work environment where you can grow and make a difference. As Nielsen is the leading market research company in fast-moving consumer goods, my clients constantly push me to add value by delivering the best insights for them. This makes my job both challenging and satisfying at the same time. 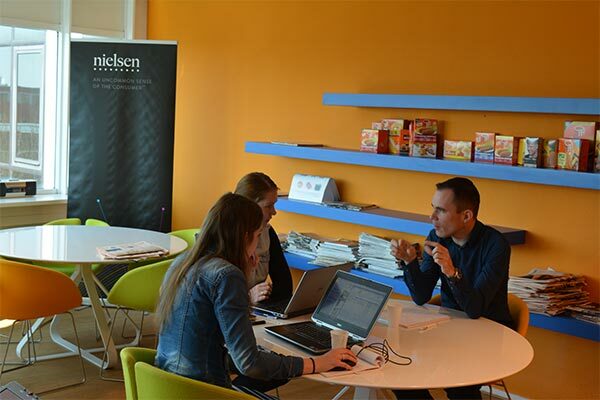 Within Nielsen, there are lots of interesting developments and opportunities to be discovered. By being open to them and trying to make the most of every one, I can make a difference. It is a lot of fun! During the past 10 years, I’ve seen the company transform itself. The current focus on digital enablement shows me that Nielsen is forward thinking and preparing for an unprecedented shift of the industry. There has never been a more exciting time to be at Nielsen.